Over the past few years, a series of major initiatives have been set in motion that are completely revamping Montreal and its downtown core, and bringing the kinds of changes we haven’t seen for decades. Critical elements of the Greater Montreal area’s infrastructure are being rebuilt, downtown condo development is occurring at an unprecedented pace, and for the first time in 25 years we are seeing a number of major office developments being constructed and planned. These changes will bring us a greatly modernized city, a vibrant downtown core designed with human needs at the forefront, and an entirely reenergized corporate real estate market. What characterizes the changes and improvements taking place is that they are being expressly designed to make the city more welcoming, efficient, and liveable. And they couldn’t come at a better time, for Montreal is well on its way to reasserting itself as one of the world’s best places to live and work. 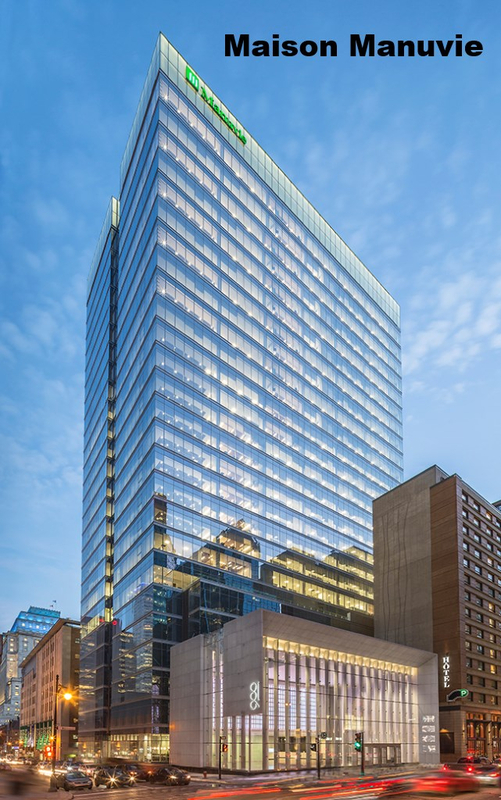 In tandem with these infrastructure renovations, downtown Montreal’s office market is also being transformed after having been dormant for a number of years. Indeed, the last great office construction boom took place over 25 years ago, when such landmark buildings as 1250 René-Lévesque Boulevard West, 1000 de la Gauchetière and the World Trade Center complex were constructed. At present, downtown Montreal has the second-largest office market in Canada, behind only Toronto, with nearly 52.7 million square feet of space. The current heightened level office construction began in 2014, when the Tour Aimia was delivered. This 35-storey development in the Quartier International is especially notable because it was the first mixed-use building of its kind in Montreal, combining 10 floor of office space and 25 floors of condominiums. The 26-storey, 500,000-square-foot Deloitte Tower, located between Windsor Station and the Bell Centre. L’Avenue at 1275 l’avenue des Canadiens, a 50-storey, 590,000-square-foot mixed-use development. It has 140,000 square feet of office space on its lower floors. Maison Manuvie, a 471,000-square-foot tower at 900 Boulevard de Maisonneuve Boulevard West. The 275,000-square-foot extension of the Sommer Building at 416 de Maisonneuve Boulevard West, which is occupied by Desjardins. The Carré Saint-Laurent, a 150,000-square-foot mixed-use development in the heart of the Quartier des Spectacles on Sainte-Catherine Street West; the office component of the building will be occupied by the government of Quebec and is scheduled to open in 2019. 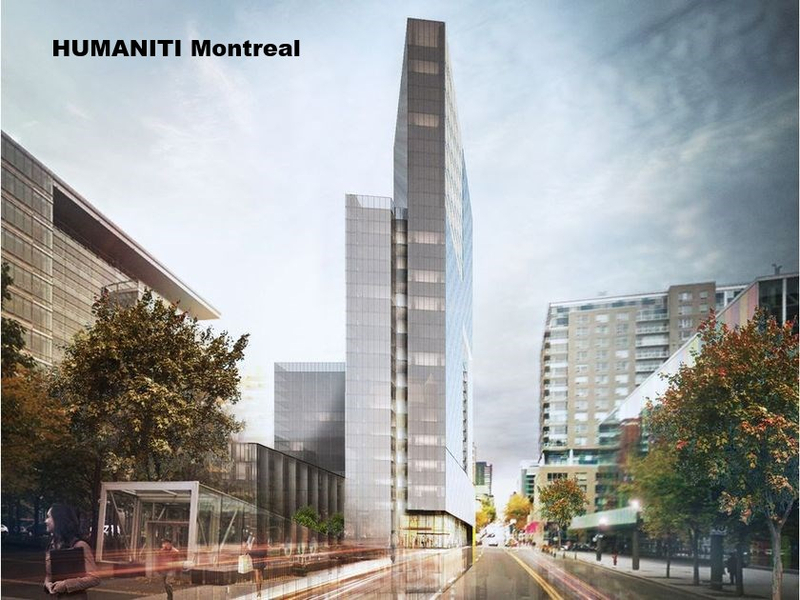 HUMANITI Montréal, a 39-storey mixed-use project that includes a 200-room hotel, over 300 rental units, 150 condominiums, 15,000 square feet of commercial space and 60,000 square feet of office space. The development will occupy the block bordered by Viger, de Bleury, de La Gauchetière and Hermine Streets in the Quartier International. Additionally, at least four existing properties are being redeveloped: the Standard Life building at 1245 Sherbrooke St. West; Maison Alcan at 1188 Sherbrooke St. West; 425 Viger Street; and 1100 Atwater, a seven-storey building that is being converted from a data centre into a 180,000-square-foot office building. At the eastern edge of the downtown area, construction has begun on the new CBC/Radio Canada headquarters. It is part of a large mixed-use project that should spur further redevelopment in this part of the city. The new headquarters will have 418,000 square feet of leasable space in two buildings. Groupe Mach has bought the old CBC site for redevelopment. Outside the downtown core, Carbonleo’s Royalmount, a $1.7 billion, 4-million-square-foot mixed-use development at the junction of highways 15 and 40 in the Town of Mount Royal, is scheduled to break ground later this year. The massive development will house office space, restaurants, entertainment venues, a hotel and a number of retail stores. In Brossard on the South Shore, work has begun on Solar Uniquartier, Quebec’s largest mixed-use real estate project estimated to cost $1.3 billion where a REM station will be located. 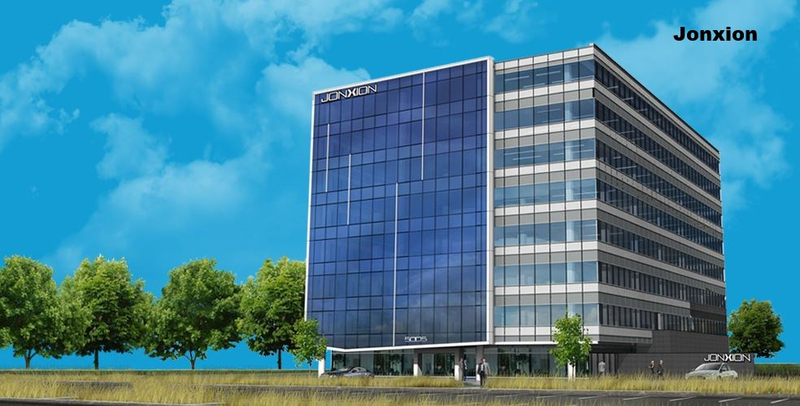 In the same sector, Galion Developments has been active in promoting the Jonxion office projects. Finally, in January of this year the National Bank of Canada announced that it would be investing approximately $500 million to build the largest office tower in Montreal in over two decades. The proposed 36-storey building will be constructed at the corner of St-Jacques Street West and Robert-Bourassa Boulevard, and the National Bank will be the sole occupier. One of the principal drivers for the current upsurge of new office developments is a significant increase in demand for top-tier office spaces that take into account both technological advances and the need to provide space designed to attract and retain a skilled and engaged workforce made up of well-educated and culturally sophisticated people. At root is the desire to create work environments that have a more personal imprint and that help to create an image that reflects the corporate culture. In other words, many of the new developments are moving away from standardized, cookie-cutter designs, and are attempting to provide a workplace that fosters the company’s values, vision, and ̶ most importantly ̶ people. The National Bank project is the perfect example. The decision to build a new tower explicitly reflects the National Bank’s commitment to provide its employees with a new and exciting work environment ̶ it is the bank’s stated objective to modernize its corporate culture in order to foster teamwork, which it will support by providing collaborative workspaces and advanced technology, and prioritize employee well-being. The mixed-use projects underway further support the desire to provide people with a full range of easily accessible services and amenities, from retail stores and restaurants to residential spaces. Further, the way in which some downtown Montreal offices are being grouped in activity-specific neighbourhoods is also contributing to development on a more human scale, where people with similar interests and concerns are grouped together. 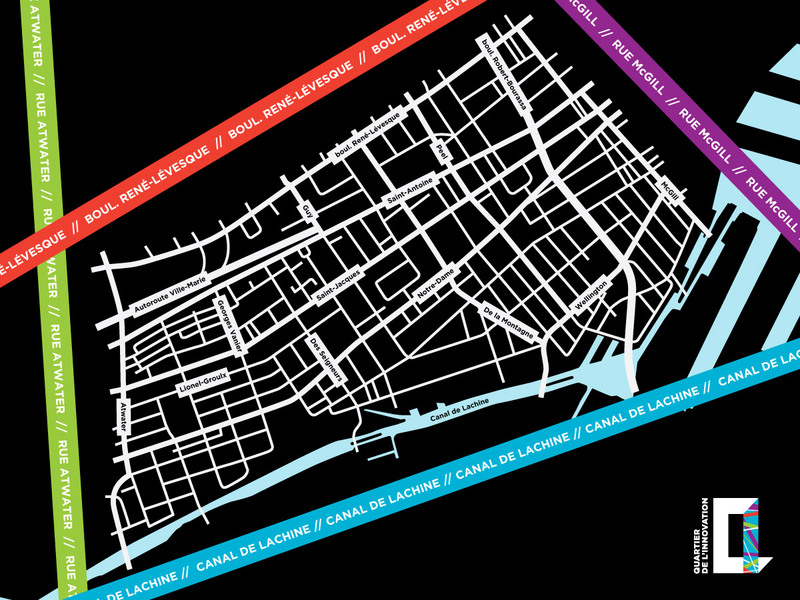 These areas include the Quartier des Spectacles, designed as a centre for Montreal's cultural events and festivals; the Quartier de l’Innovation, whose mission is “to foster a one-of-a-kind innovation ecosystem where experimentation and collaboration between academics, entrepreneurs and residents generate benefits for society”; and the Quartier International, which includes the Palais des congrès, Place Jean-Paul Riopelle, Victoria Square and Place de la Cité international. Other neighbourhoods--the Mile End district northeast of the downtown core, and the Griffintown area to the southwest, for example ̶ continue to attract tenants in the gaming, media, artificial intelligence and research sectors, as they can offer redeveloped brick-and-beam spaces that appeal to the creative and academic classes. The other key impetus for the current boom in office development is the accelerated pace of space absorption in downtown Montreal. While the availability rate has remained in the 8%-12% range over the past five years (the availability rate includes current vacancies, available sublease space and space that will soon be vacated and on the market), over 1.3 million square feet of Class A space has been delivered to the office market over that time, and demand for the new space has been strong. Part of the reason for the increasing demand for downtown office space is the unprecedented activity in the condo development market. Simply put, living downtown has become increasingly attractive as the city undergoes its renewal, and people like to work close to where they live, especially in an era of lengthy commutes. The success of, among a host of others, the Tour des Canadiens complex near the Bell Centre, the YUL project at 1400 René-Lévesque Boulevard West, and the O’Nessy condo development in Shaughnessy Village just west of the downtown core underscores just how robust the demand is for the downtown Montreal lifestyle. In its 2016 strategic plan, the City of Montreal anticipated that, by 2030, the downtown area would see its population increase by 50,000. With the corporate real estate market pumping on all cylinders, over the next few years we should see vacancy rates fall as space continues to be absorbed. The market will be tenant-favoured for some time to come, but the best leasing opportunities will be building specific and will depend to a large extent on the kind of space a tenant requires. Brick-and-beam spaces, for example, are in relatively short supply (though there are redevelopment possibilities in the Chabanel district northeast of downtown), as are larger blocks of contiguous space (National Bank’s move into its new tower in 2022 will, however, free up space at its current headquarters and in other buildings that they occupy). In short, the best-informed tenants will be in a position to secure the most advantageous leasing arrangements. There are still challenges to be met. Less and less land is available for development in the traditional downtown core, so we will probably see more new projects move southwards, and into the Griffintown and Atwater areas. While the economy is moving ahead with vigour today, we need to do everything possible to ensure that this continues. 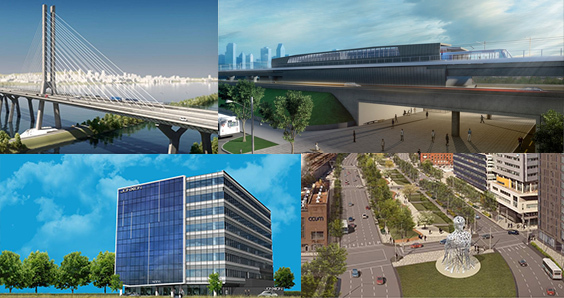 Over the past few years, the progress that has been made in reviving downtown Montreal and in renovating the city’s infrastructure has been made possible by a spirit of cooperation amongst all stakeholders, from the three levels of government to developers, corporate leaders as well as public and private investors. The former mayor was a great cheerleader for the city; with new leadership in place, it remains to be seen how well the channels of communication between the city administration and decision makers will be maintained. For the city to reach its potential, it is critical that we remain extremely attentive to market dynamics, committed to a strategic direction we can all support, and willing to work together to create the winning conditions for continuing success.